In the middle of the hustling life, sometimes you need to take a break and relax. But, internet and social media being a constant interruption to all of this makes you restless. So, while you want to stay a bit away, you might as well shut your WhatsApp from bugging you with personal and professional messages and calls. 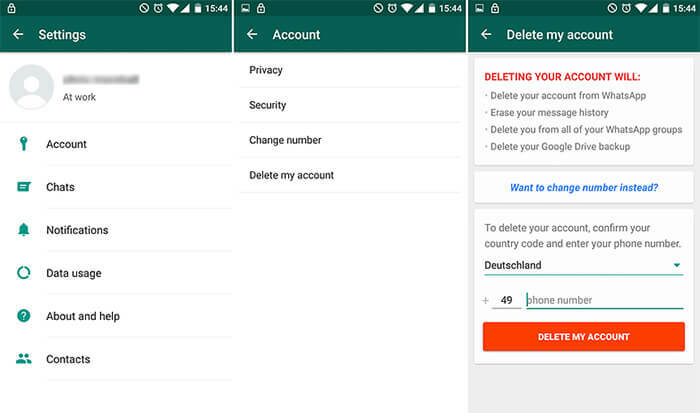 If you have decided to delete your WhatsApp account for any reason, but is in dilemma to choose the right method. We have got your back! 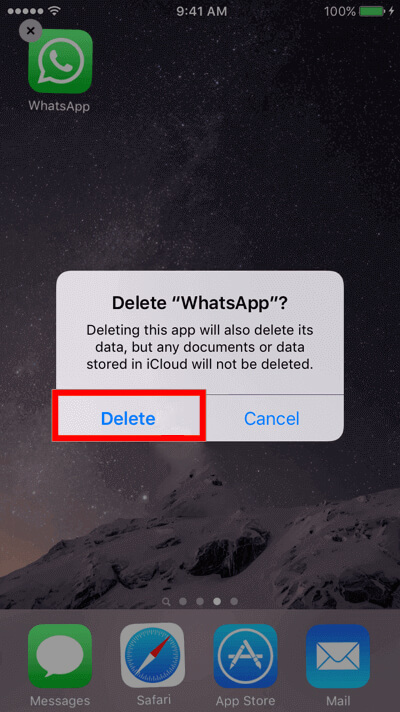 In this article, we have gathered different scenarios of deleting WhatsApp account. Moreover, if you have accidentally deleted WhatsApp then, we will show you bonus tips to recover the data as well. Keep reading! Well, right before you proceed to delete WhatsApp account, we must warn you to create a backup of the media and chat. Though, you will be able to reactivate your account but after re-registering with the same mobile number, you will not be able retrieve lost WhatsApp chat history. Your number is removed from your friends’ WhatsApp contact list. Your phone number is detached from your WhatsApp account. You are removed from WhatsApp groups. Your message history gets erased. Your Google Drive backup is deleted. 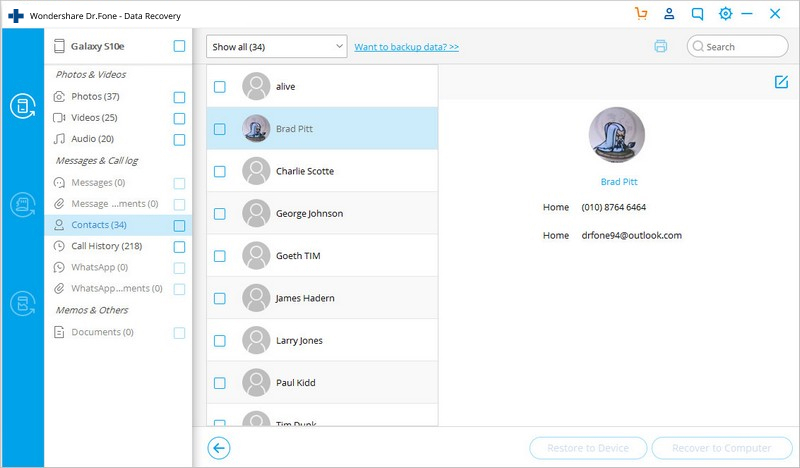 Access to the same account with all the same chats restored via backup is not possible. As you’ve deleted WhatsApp account, all your data from its servers will also be deleted theoretically. If you re-activate the same account, old messages won’t be visible to you. Service payment information on WhatsApp servers get removed. To put it simply, deleting WhatsApp account will leave no trace of yours over it, just like you never ever existed on it. Note: The steps are exactly same for both the Android and iOS smartphone devices. Launch ‘WhatsApp’ on your iPhone/Android smartphone and click ‘Settings’. Go to the ‘Account’ section now. Tap ‘Delete My Account’ and enter your complete mobile number (including country and area code). Again press ‘Delete My Account’ on the bottom of the screen. 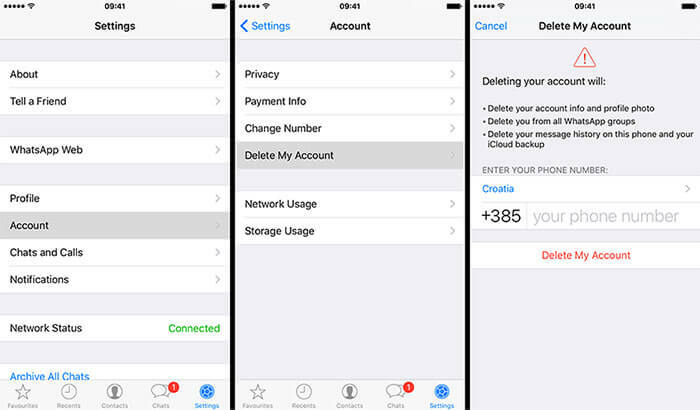 Your WhatsApp will be deleted from your iPhone/Android smartphone now. For temporarily deleting WhatsApp account from your Android or iPhone, we have given the following instructions. Pay attention to follow through the appropriate guide, so that there is no confusion. On your iPhone’s home screen, click and hold ‘WhatsApp’ icon until it jiggles. Hit the ‘X’ mark over the top-corner of the app and delete it with data. For this you need to connect your iPhone to iTunes and select the Device icon on top left. Then get into the ‘Apps’ section. Select the ‘WhatsApp’ app and you’re then required to hit on the click ‘X’ on top left of the App icon. Lastly, hit on ‘Sync’ followed by ‘Done’. 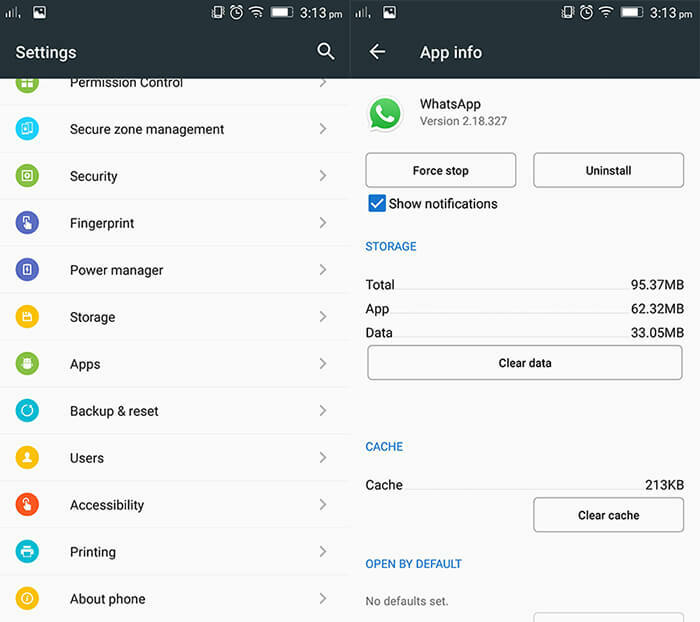 Well, Android device offers couple of different ways using which you can deleted Whatsapp from Android device. Let’s explore the shortest way first and then the alternate methods. On your App Drawer, locate the WhatsApp application, push and hold it down for a second or two. Then you need to drag and drop it to the ‘Uninstall’ section at the top. Confirm your actions from the popup windows and you’re done. First, launch the ‘Settings’ app of your device and get into the ‘Apps’ or ‘Application Manager’ section. 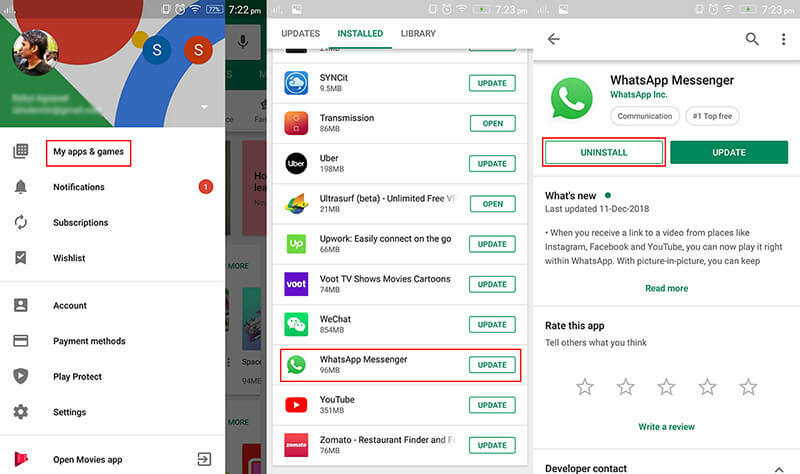 Now, look for the WhatsApp application in the list of apps available. Hit on it and then tap the ‘Uninstall’ button from the appearing screen. 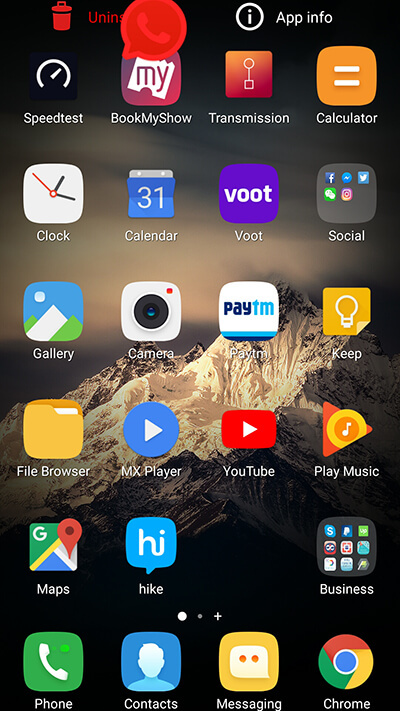 Locate the ‘Play Store’ app on your App drawer and then launch it. Hit the 3 horizontal bars on the left top corner to launch the sidebar menu. Now, select the ‘My apps & games’ option. From the next screen, you need to get under the ‘Installed’ section and locate the ‘WhatsApp’ app from the list. Hit on it afterwards and then push the ‘Uninstall’ button. That’s about it! In case, you have lost your device, or it has been stolen. You got to delete WhatsApp for protecting your data and private information, contact lists and plenty other things as well. You can block the SIM card for that matter, but they might access WhatsApp using Wi-Fi connectivity. So, the safest bet is remotely wiping it off. 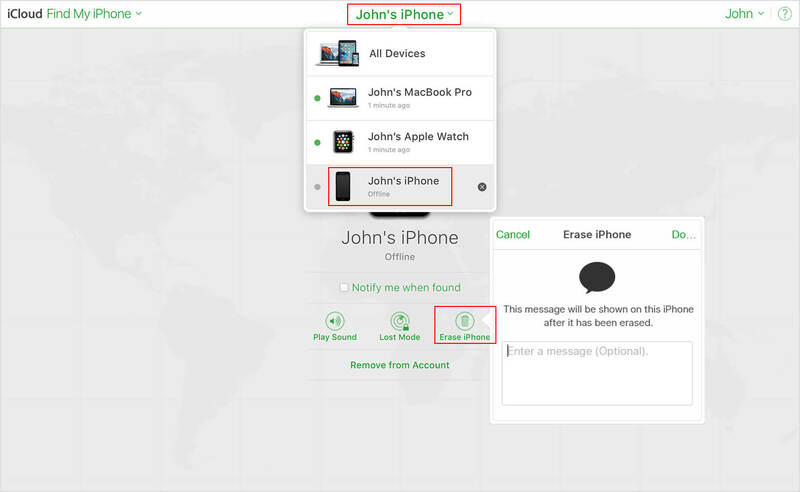 You can make use of Google’s “Find my Device” feature if you own an Android smartphone or Apple’s “Find My iPhone” feature if you possess an iOS device. 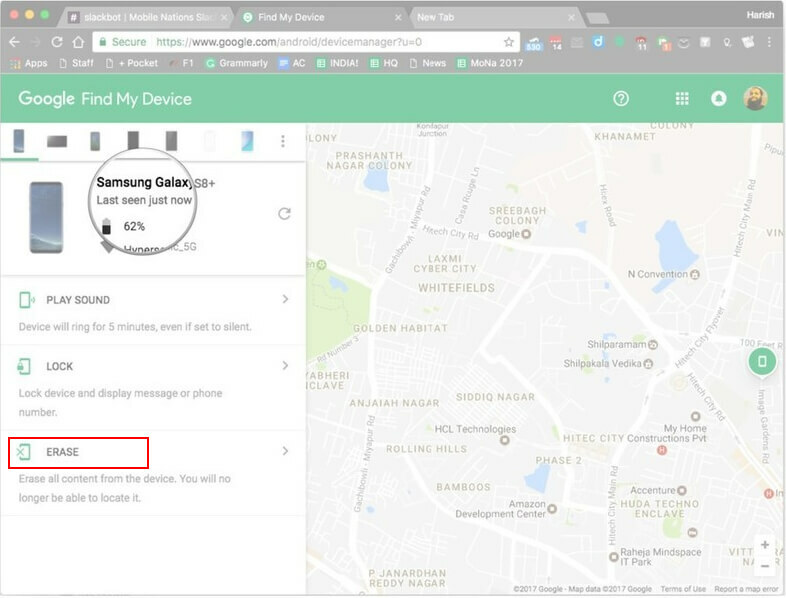 For deleting WhatsApp without a phone using Find My Device, launch the browser of your computer and visit the Google’s official Find My Device website. Now, you’ll be asked to sign into the Google account that was configured with the lost device. Once done, locate your lost device from the list of devices at the top. Hit on your device and then push the ‘Erase’ option available on the left sidebar. Confirm your actions and you’re done. Launch the browser of your computer and then visit Apple’s official iCloud sign in page. Now, access your iCloud account attached with your lost iPhone. Hit the ‘Find My iPhone’ option from the launchpad and hit on ‘All Devices’ drop down menu at the top. Now, select your preferred iPhone from the list of devices and hit on ‘Erase iPhone’ option afterwards. Or, there’s also another way round. In this, you would require to email WhatsApp customer support to deactivate your account. WhatsApp, will get it deactivated and within 30 days the account gets deleted permanently. If you wish to reactivate it on your other Android/iOS device you got to reactivate within that 30 days timeframe. Open your email account (possibly the one associated with your WhatsApp account) for sending an email to support@whatsapp.com. Mention ‘Lost/stolen: Please deactivate my account’ in the subject line. For the email body “Lost/Stolen: Please deactivate my account (the phone number used for WhatsApp in complete international format)”. If you are wondering about how to recover WhatsApp account, then we must inform you that you have reached the right place. What if you have recovered the account but couldn’t retrieve the data? Well, for such tricky situations dr.fone – Recover is there to lend you support. This software has a plethora of solutions for both Android and iPhones, as it is available for both device types. We will discuss it in detail in the following segments. 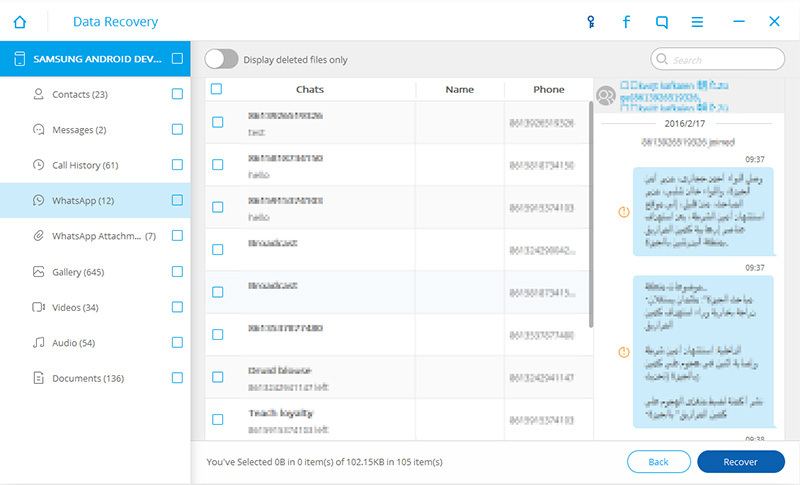 The tool you will use is dr.fone - Recover (Android), known as one of the first Android data recovery software in the world. It has high recovery rate for recovering videos, photos, messages, contacts, call logs as well as WhatsApp chats and attachments. Supports more than 6000 Android device models. Perfect tool for data extraction from even broken Samsung phones. Takes care of lost data during OS update, factory reset, post rooting or ROM flashing. Come in handy to recover data when facing issues like a stuck or unresponsive frozen device. Step 1: Install dr.fone – Recover (Android) on your computer and then launch it. Get your Android device connected with the PC and opt for ‘Recover’ on the program window. Note: You need to get ‘USB Debugging’ enabled on your Android device. Step 2: As your device is detected by the software, all the supported recoverable formats of data will be displayed on screen. Here, choose ‘WhatsApp messages & Attachments’ and click ‘Next’. Step 3: If your Android phone is unrooted, the software will prompt you with two options ‘Scan for deleted files’ and ‘Scan for all files’. Choose as you desire and tap ‘Next’. 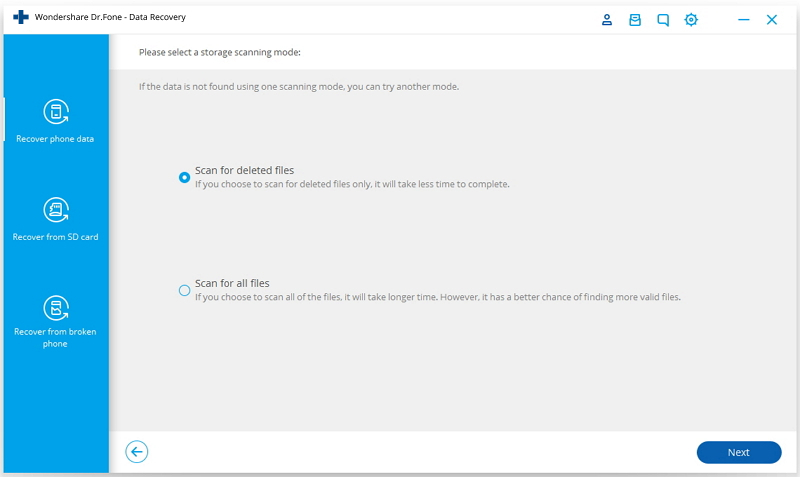 Step 4: The program scans and analyzes the deleted data. Once the scan is over, check ‘WhatsApp’ and ‘WhatsApp Attachments’ from left sidebar to preview the recoverable data. Press ‘Recover’ and you’re all sorted. 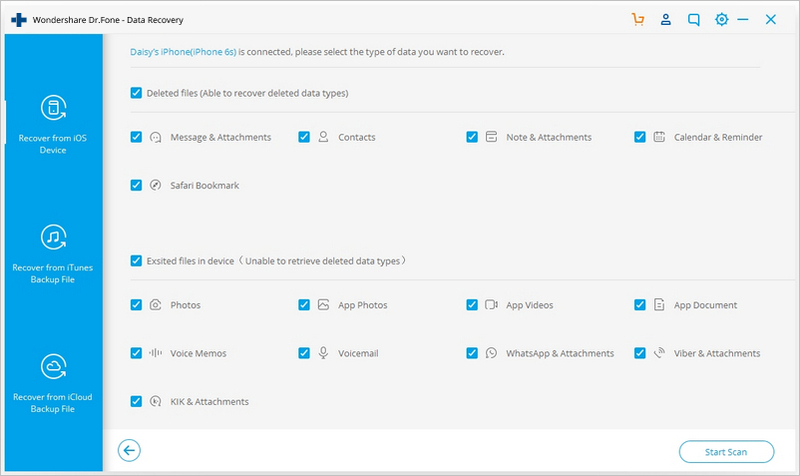 Likewise, for iOS devices you can use dr.fone – Recover (iOS) to recover your valued data from the deleted WhatsApp account. When it comes to recover WhatsApp messages, the sooner, the better. Too long waiting may get all data in the disk overwritten by new generated data. 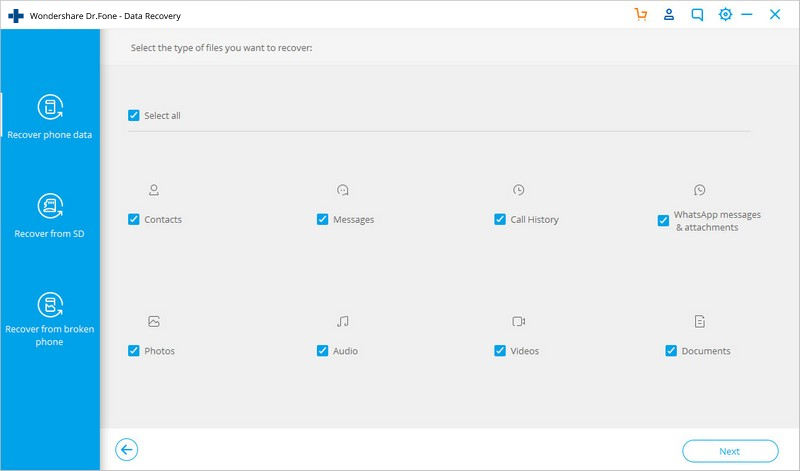 Recovers a plethora of major data types including notes, contacts, media, WhatsApp etc. Supports the latest iOS versions and device models as well. Takes care of almost all data loss scenario along with stuck, unresponsive and password forgotten devices. Recovers data from iTunes, iCloud backup files and iPhone as well. Selective preview and recovery of data is possible with this tool. Step 1: Once you have installed the program on your computer, launch it. Get your iPhone connected to the system through a lightning cable. Tap on the ‘Recover’ tab afterwards. Note: You got to turn off auto-sync with iTunes before connecting your iPhone to your system, so that the lost data doesn’t get overwritten permanently. For this, Open ‘iTunes’ > ‘Preferences’ > ‘Devices’ > mark ‘Prevent iPods, iPhones, and iPads from syncing automatically’ > ‘Apply’. Step 2: Now, from the left panel, click on ‘Recover from iOS Device’ tab. From the list of recoverable file types, tap on ‘WhatsApp & Attachments’ checkbox followed by ‘Start Scan’ button. Step 3: When scanning is complete, the program will show you the list of lost and existing data on the interface. Preview the data by clicking ‘WhatsApp’ and ‘WhatsApp Attachments’. Note: To pick only deleted items, you can choose ‘Only display the deleted items’ from the filters dropdown. Step 4: Press the ‘Recover to Computer’ button to save the WhatsApp messages and attachments on your computer. You can then restore them later to your iPhone. From the above article, we have observed that deleting WhatsApp accounts is possible in various ways. But, post deletion you might find some significant data missing from your device. In order to be on the safe side, you can make use of dr.fone – Recover for both Android and iOS devices. It helps you recover even the deleted data without any further data loss. 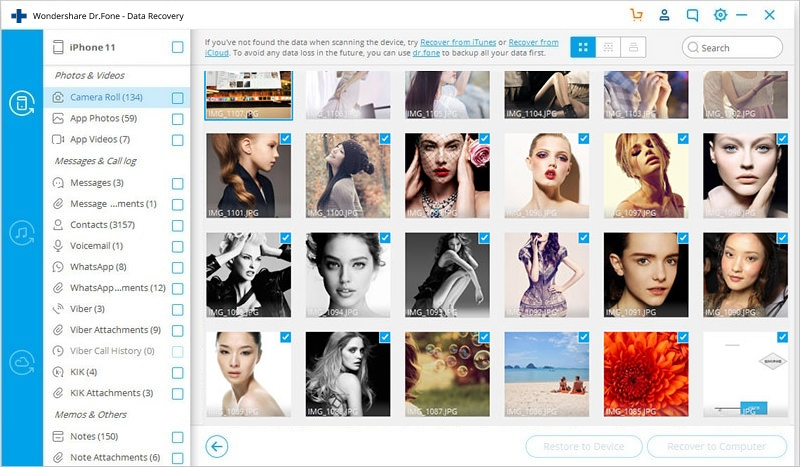 A wide variety of data across 6000 plus devices can be recovered with this tool. 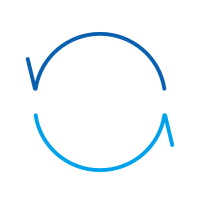 You can even retrieve data from unresponsive, rooted or jailbroken devices as well. Based on user feedback, we have collected best 8 apps to recover WhatsApp deleted messages from iOS and Android. Help yourself to select the one that best suits your needs. 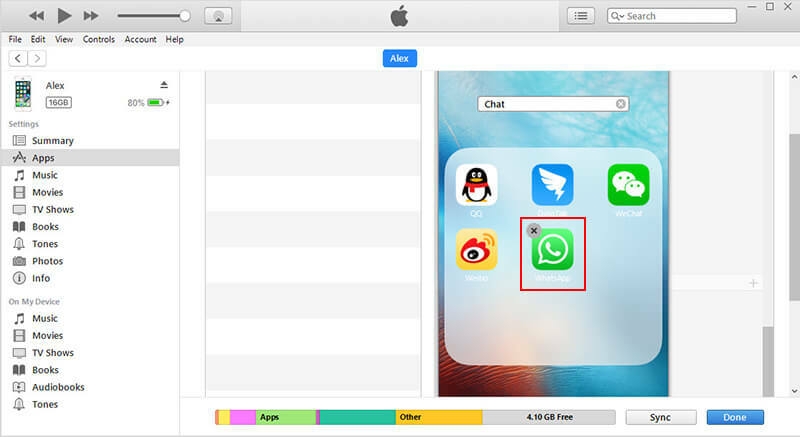 Learn how to transfer WhatsApp data from iPhone to PC and Mac in the post. We have listed detailed steps to transfer WhatsApp photos from iPhone to PC/Mac. Do you know how to recover deleted WhatsApp images/pictures? Here we share 3 solutions to recover deleted WhatsApp images/pictures from your Android or iOS devices.